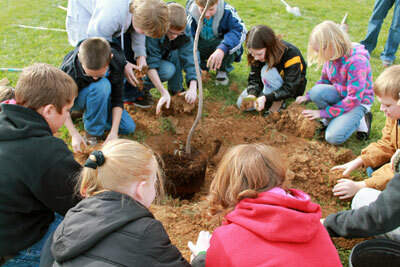 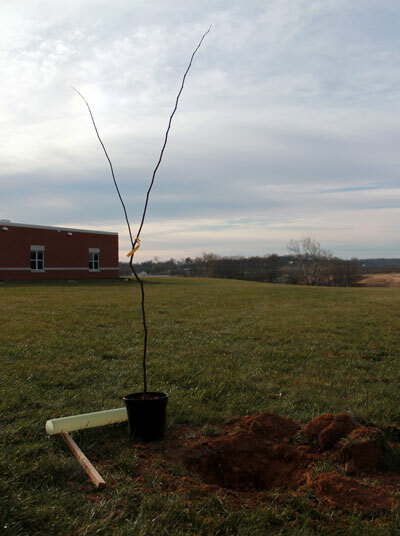 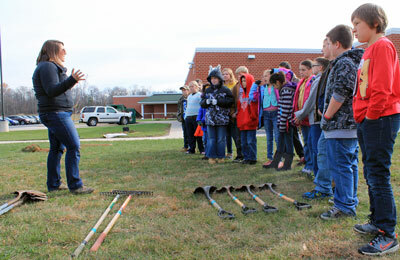 On November 15th, 2013 students, staff, and parents at Mountain Ridge Intermediate School worked together to plant 24 flowering trees on their campus. 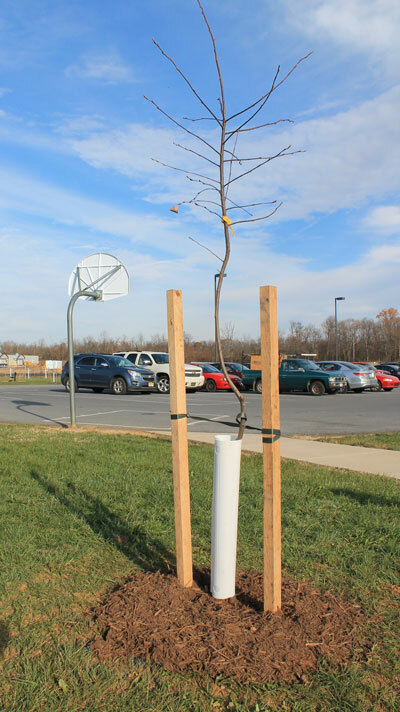 The trees – redbuds, flowering dogwoods, and serviceberries – will add aesthetic value to the campus and playground, reduce soil erosion, and provide habitat and food for wildlife. 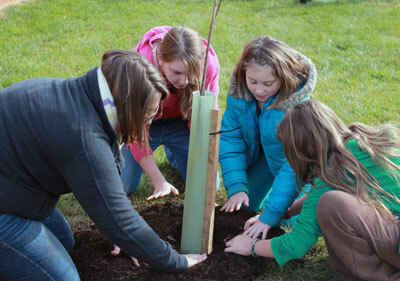 Throughout the day 135 student volunteers assisted with planting the trees. 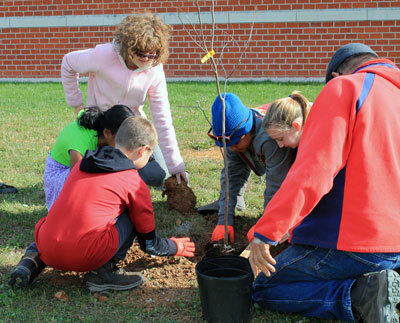 In groups of 20-25 the students came out onto the playground, learned about the benefits of trees and how to plant trees, and then planted some of their own.